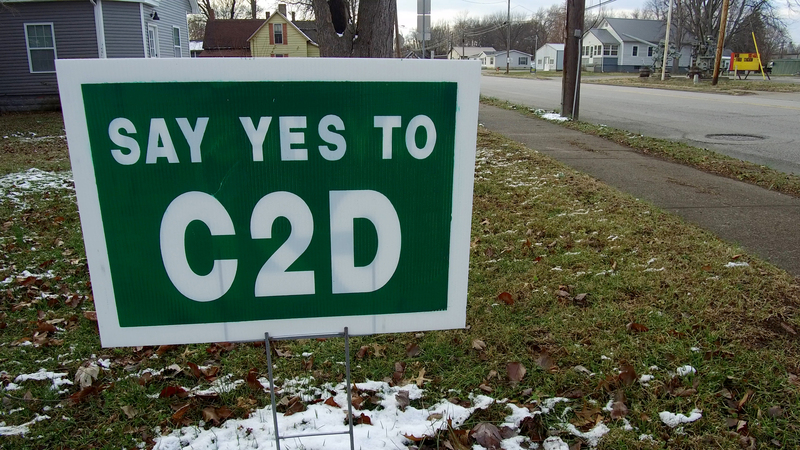 DALE, Indiana-- Mary Hess sits at her kitchen table wearing a bright yellow “No C2D” shirt, making notes on her laptop, rapidly listing off air emission statistics to the person on the on other end of her phone as though she were a scientist, not a retired postal worker. Hess is preparing for an Indiana Department of Environmental Management listening session regarding the air permit for the proposed Riverview Energy coal-to-diesel, or C2D, plant in Dale, Indiana. She’s helping a fellow member of Southwestern Indiana Citizens for Quality of Life fine-tune the statement she would be reading later that night at the Heritage Hills High School in Lincoln City. The high school auditorium ended up overflowing with 400 people both for and against the proposed plant. 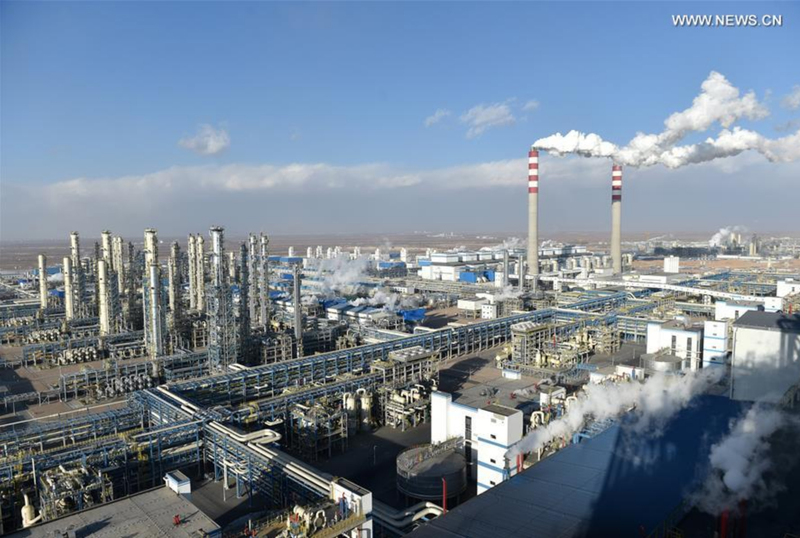 The proposed coal-to-diesel plant in Dale would look similar to this current coal-to-liquid plant in the northwest China. 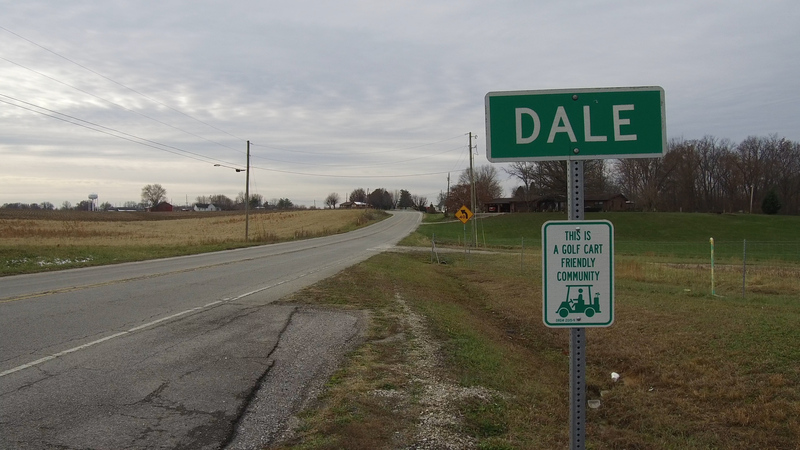 Dale, a town of about 1,500 people in Spencer County, sits along Ind. 231 between Jasper and Lincoln City. It’s a peaceful rural community, where everyone knows and looks out for one another. Early in summer 2017, rumors started going around town of an industrial plant that might be built. Definitive answers were hard to find, and town board members waited until all the permits for construction were passed before making an announcement on Jan. 25, 2018. Having passed the town’s permit process, Riverview is now waiting for IDEM to release its decision on an air quality permit for the plant before construction can begin. Since the plant was announced, residents of Dale and the surrounding area have been divided on whether or not it would be good for the community. 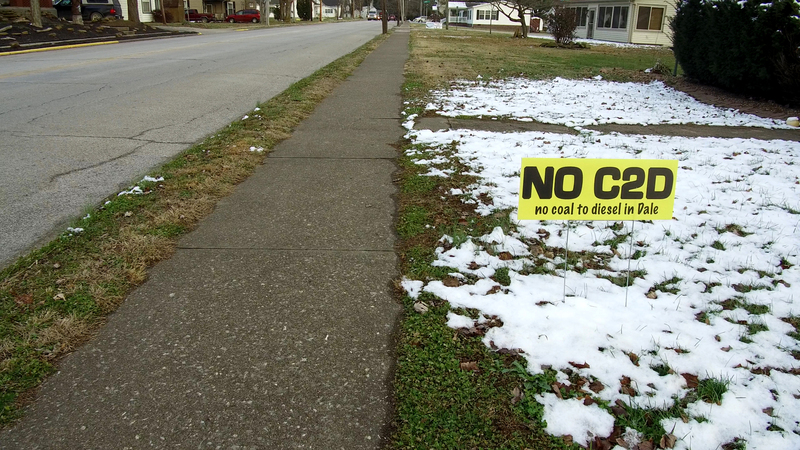 Along the town’s streets, “No C2D” and “Friends of Coal” signs perch on adjacent lawns. Coal-to-diesel technology has been around since the 1920s and is currently being used in China, South Africa and Russia. However, if the Dale plant is built, it will be the first time the technology has been used in the U.S.
Coal-to-diesel plants have been proposed before in other states, including South Carolina, Alaska and Kentucky, but all have eventually been canceled. The Dale plant was originally proposed in Vermillion County in 2010. But the project didn’t advance, and Riverview turned instead to Dale, which Merle said is ideally situated because of its access to coal mines, transportation networks, water and natural gas. Riverview’s coal-to-diesel process would pulverize coal and mix it with an oil such as crude oil, creating a slurry. 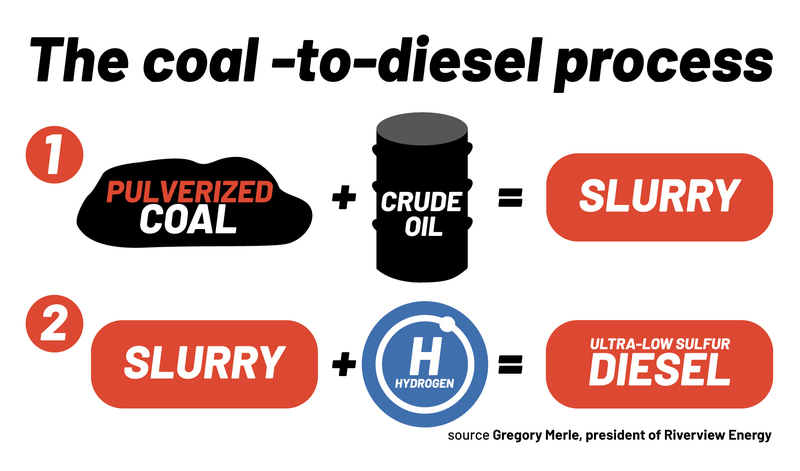 Hydrogen, from natural gas, would be added to this slurry, creating ultra-low-sulfur diesel. Ultra-low-sulfur diesel reduces the amount of airborne sulfur emissions that cause smog, as opposed to regular diesel. It’s also more efficient, meaning heavy machinery could run longer on one gallon of the ultra-low-sulfur diesel than on regular diesel. Riverview Energy president Gregory Merle, a member of the National Coal Council whose family has been in the coal business for six generations, said byproducts of the process would be put to good use. Coal ash would be sold for use in construction rather than stored in potentially hazardous coal ash ponds. And elemental sulfur would be used as an agricultural product. One of the key reasons many Dale residents support the plant is because they see the potential for higher-paying jobs in the area, both at the plant and also in other sectors. Indiana coal mines supplying 1.6 to 1.7 million tons of the coal for this plant would put an additional 150 coal miners to work and help offset a 4-million-ton loss of coal due to federal and environmental regulations, according to Indiana Coal Council president Bruce Stevens. 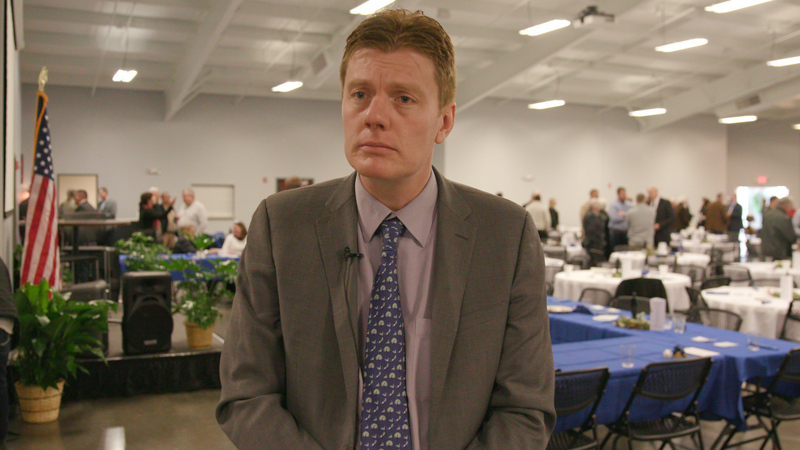 Indiana Coal Council President Bruce Stevens believes this plant would be good for the future of Indiana coal production and also help bring more economic opportunities to Spencer County. But Hess is skeptical. She said hiring signs are common in the community, at businesses such as Spencer Industries or Best Chairs, and the unemployment rate is low. “It doesn’t make sense. We don’t have the people to fill the jobs we’ve got,” she said. The Riverview plant initially would supply about 2,000 construction jobs, along with 225 permanent jobs including petroleum engineers, maintenance workers and safety monitors. 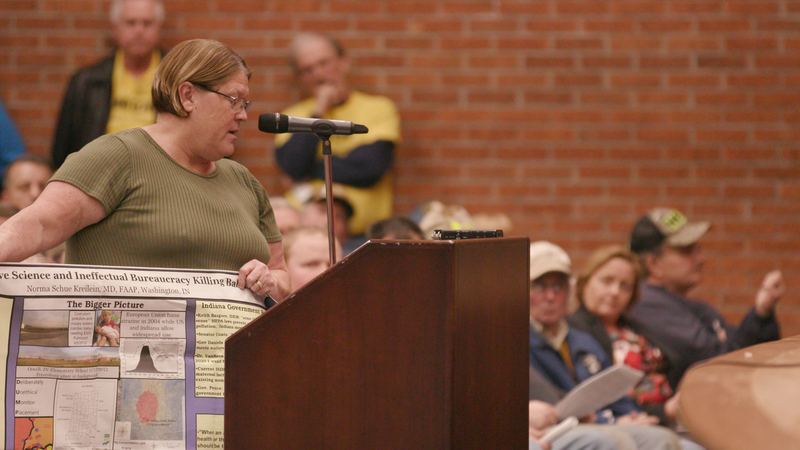 Mary Hess began Southwestern Indiana Citizens for Quality of Life with other residents of Dale who oppose the plant being built because of health concerns. 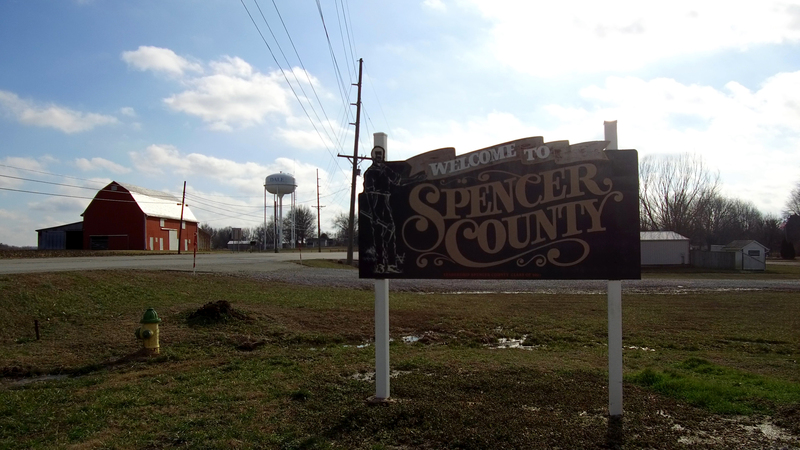 People in the community are hopeful these jobs might entice younger people who have left Spencer County to return. However, Hess says that isn’t what she has heard. According to Riverview’s own air permit application, the plant would release around 2.2 million tons of carbon dioxide, 225 tons of carbon monoxide and 120 tons of sulfur dioxide annually. The proposed site of the plant is within a mile of nursing home and within two miles of an elementary school. Hess doesn’t buy that argument. “When you consider there is going to be 60 tons of hazardous air pollutants – including carcinogens like benzene, toluene, and hexane released, and you’ve got 2.2 million tons of carbon every year out of this plant – how can that be insignificant?” she said. 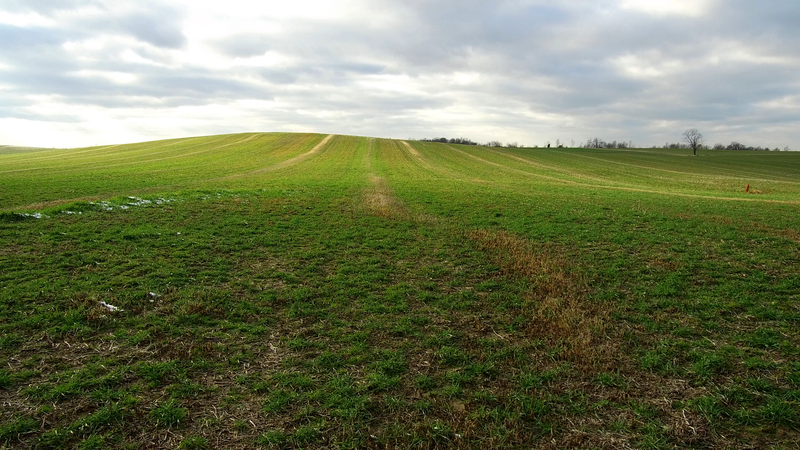 The proposed site of the Riverview Energy coal-to-diesel plant in Dale. Indiana ranks as the sixth worst polluter in the U.S., according to the EPA’s Toxic Release Inventory. Rockport, 23 miles south of Dale, ranks 18th out of the 50 worst polluting towns in the country. 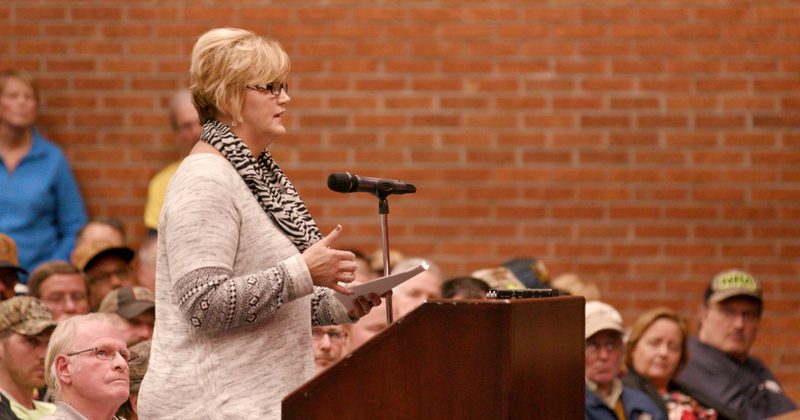 During the IDEM hearing in December, 47 people spoke against the plant and seven in favor. However, the audience was equally divided between pro-coal and no-C2D shirts. Residents on both sides were passionate in their comments. IDEM is still reviewing 200 pages of testimony from the hearing, as well as other comments. 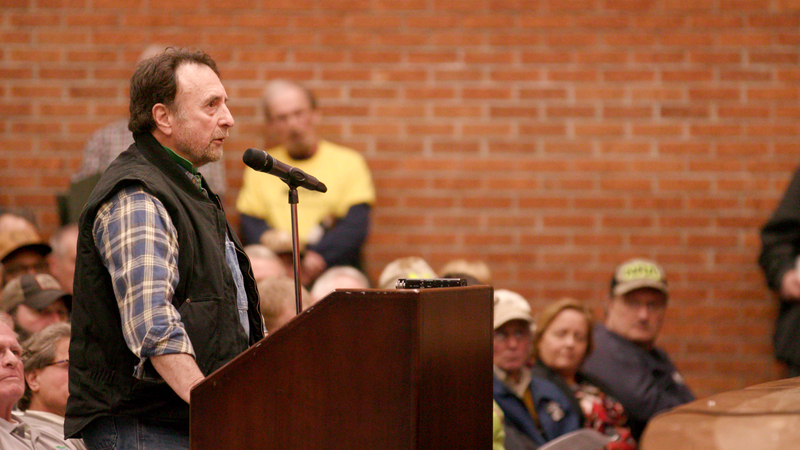 Joseph Nickolick spoke against the plant being built at the Dec. 5, 2018 IDEM listening session, saying IDEM wasn't doing its job in protecting the environment. Dr. Norma Kreilein, a pediatrician who has been practicing in Southwestern Indiana for 30 years, also spoke at the hearing and said she is already seeing problems in her patients that she attributes to pollution. In September a study released by the National Academy of Sciences linked lower intelligence to air pollution, especially in boys. Additionally, a previous study from the peer-reviewed journal BMJ Open found that even lower levels of pollution were associated with increases in mental illness in children. According to the Indiana Department of Education, the state average for students in special education classes is 15 percent. For the 2017-2018 school year, Rockport Elementary had a 28 percent special education rate, Chrisney Elementary School 23 percent, and David Turnham Education Center in Dale 16 percent. Indiana defines special education eligibility to include autism, learning disabilities such as ADHD and severe anxiety issues. Kreilein said it’s a mathematical certainty pollution from the Riverview plant will affect the community’s health. 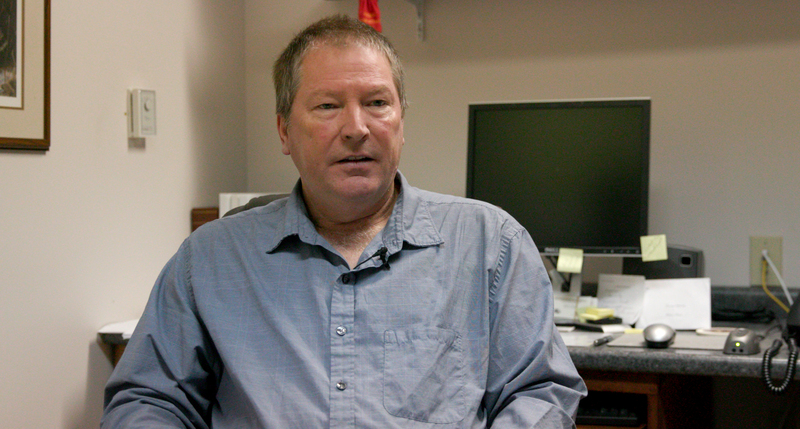 Merle said Riverview is complying with all current environmental regulations. Riverview President Gregory Merle believes this plant would be a great opportunity not only for Dale but for the United States as well. Broomfield said he wants clean air and water for his children, and having read through the IDEM permit, he feels confident in the steps Riverview is taking to ensure compliancy. “I work in these industries, I build the pollution control systems in these industries and I know that we can have good paying jobs and we can have clean air at the same time,” he said. Stevens of the Indiana Coal Council agrees there is a need for health and safety regulations, but said there also needs to be a balance. One of the rules that has hit Indiana coal production the hardest has been the EPA’s Mercury and Air Toxics Standards, which set a national limit on mercury emissions and reduced emissions of sulfur dioxide and fine particles from coal-fired power plants. Some of the older plants in the state decided not to upgrade their systems to meet the new requirements and either shut down the plant or switched to natural gas. This caused a drop in the need for coal within the state. 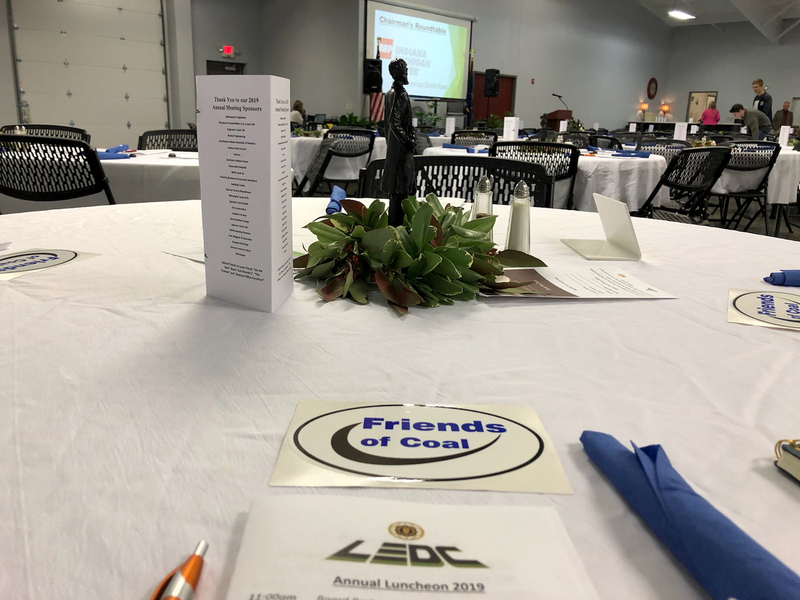 On Jan. 25, the Lincoln Economic Development Commission held its annual board member luncheon at the Spencer County Youth and Community Center in Chrisney. 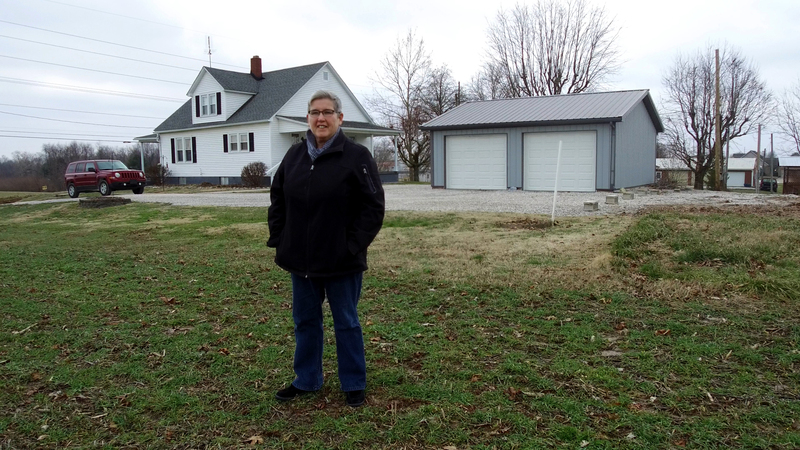 LEDC president Tom Utter has been spearheading the Riverview plant project in Spencer County. Tables were set with statuettes of Abraham Lincoln sculpted from coal as centerpieces and coal-shaped chocolates as treats for attendees. A statuette of Abraham Lincoln sculpted from coal. The main speaker at the event was Riverview president Gregory Merle, as well as Bruce Stevens and Terry Seitz, a representative for Indiana Sen. Mike Braun. Merle said it was important for him to be present to show gratitude for the community’s support for Riverview. Members of the Southwestern Indiana Citizens for Quality of Life also attended the luncheon, and after it was over, several members spoke with Merle. Vale is a retired chemical engineer who worked in the oil and gas business for 30 years. He isn’t against oil refineries, but he is against the Dale plant because he believes the coal-to-diesel process requires more energy and will cause more pollution than using already existing crude oil. “I don’t think this plant deserves to be built anywhere, especially not within the town limits of Dale so close to a nursing home, elementary school and homes of residents,” he said. Assuming IDEM approves the project, Riverview has 18 months to begin construction. Riverview is still in the process of securing financing, and Merle said that process could also take 14 to 18 months. If IDEM does issue a permit for Riverview, Hess says her group will appeal the decision and keep the public aware every step of the way. “We’re not giving up, that’s for sure,” she said. A $2.5 billion coal-to-diesel plant has been proposed by Riverview Energy in Dale, IN. Those in favor believe it will create jobs and bring other economic opportunities to Spencer County. Those opposed believe it will create more air pollution and lead to health issues for citizens. The Indiana Department of Environmental Management is currently reviewing Riverview's air permit application. If this plant were to be built it would be the first in the US.